This Daddy Is So Sleep Deprived He's Dreaming About Parenting! You are here: Home / For Moms & Parents / video / This Daddy Is So Sleep Deprived He’s Dreaming About Parenting! 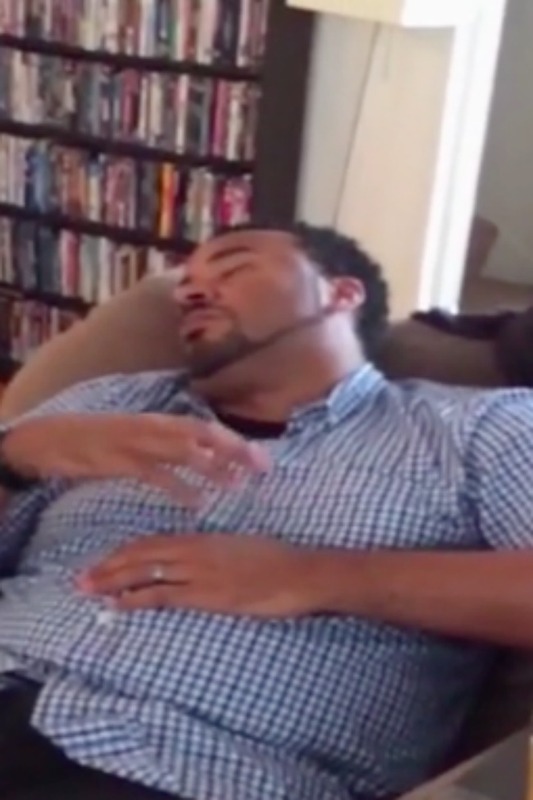 This Daddy Is So Sleep Deprived He’s Dreaming About Parenting! Years ago I had a job that was so stressful that I would often dream I was still at work. There were nights that I felt as if I didn’t get a wink of sleep because I worked all night long, even though I was safe and tucked into my own bed. It was rough. Eventually I adjusted to that job and the dreams stopped, but I’ll never forget how real it felt to be working even though I was asleep. That’s probably exactly how this new daddy feels. Being a new parent is tough, stressful, and definitely causes a certain lack of sleep, so it’s no wonder this papa doesn’t realize he’s sleeping as he’s dreaming about taking care of the baby! Take a look! I love that mom is right there watching him. It’s adorable that she’s doing exactly what he’s dreaming of doing. From the looks of things, this baby has two parents who are already great parents, even though they just started. And for dad? Hopefully you’ll get your normal dreams back soon enough. 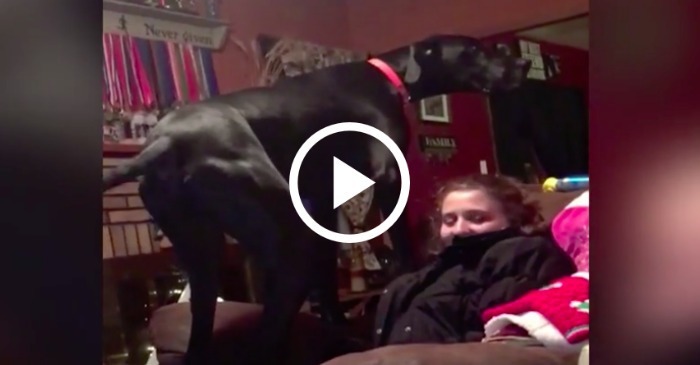 This Big Dog Found The Perfect Place To Sit…On Top Of His Owner’s Head! 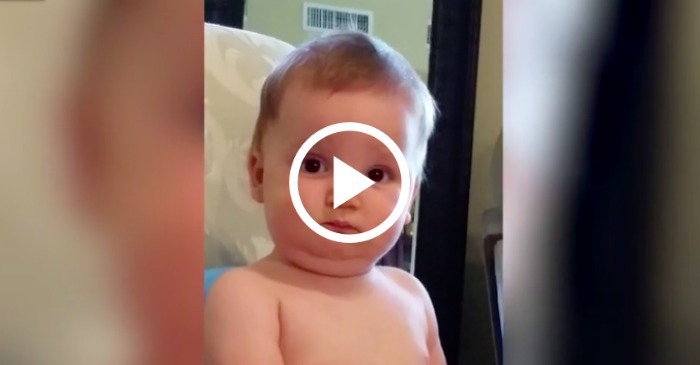 Baby Becomes Instant Grandpa With Hilarious Impression!